TT great John McGuinness returns to action on the Mountain Course during the first timed practice session of the 2010 Isle of Man TT. 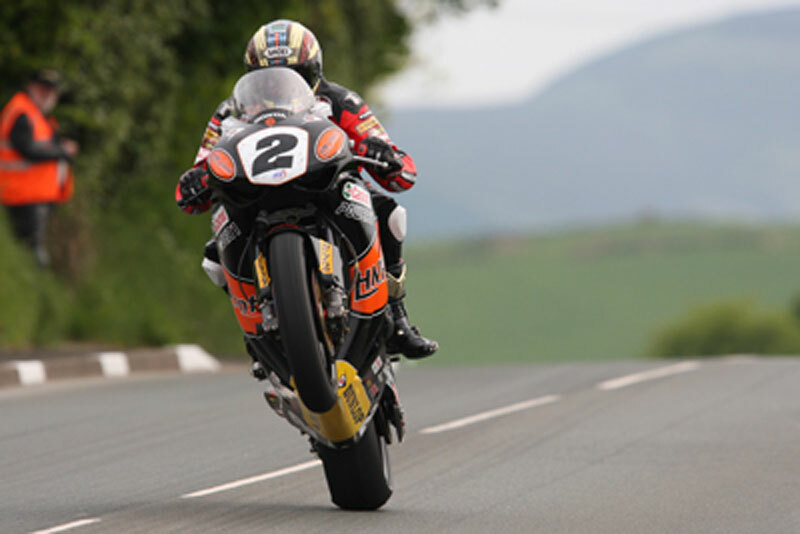 The 15-times TT winner and outright lap record holder is pictured with the front wheel of his HM Plant Honda Superbike clawing the air as he comes through Lambfell. Mounted prints in sizes A1 and A2 are not available for delivery to addresses outside the UK.